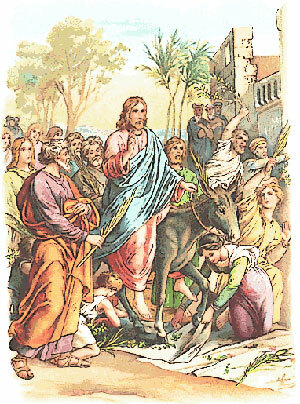 Subtitle: Our Savior fulfilled THE most exciting and exact prophecies in the entire Bible when He rode into Jerusalem on the donkey with Palm branches spread out on the road, to be proclaimed by the crowd as the King of Israel. Sir Isaac Newton said that the validity of all Bible prophecy could be proven by this one startling fulfillment! "Seventy weeks [of years, or 490 years] are decreed upon your people and upon your holy city [Jerusalem], to finish and put an end to transgression, to seal up and make full the measure of sin, to purge away and make expiation and reconciliation for sin, to bring in everlasting righteousness (permanent moral and spiritual rectitude in every area and relation) to seal up vision and prophecy and prophet, and to anoint a Holy of Holies." "Know therefore and understand that from the going forth of the commandment to restore and to build Jerusalem until [the coming of] the Anointed One, a Prince, shall be seven weeks [of years] and sixty-two weeks [of years]; it shall be built again with [city] square and moat, but in troublous times." At the precise point in history when the 7 + 62 Weeks of Years occurred, Israel could expect Messiah to announce Himself as Messiah. What great news! This means that Israel could not miss Messiah. All they had to do was to be aware of this prophecy, to count the weeks of years and be cognizant of current events in Israel as they unfolded. The fact that the Jewish people allowed the fact that the "weeks of years" had come to completion at the time of Jesus' birth and ministry is one of the great tragic stories of the entire Bible, and one of Satan's greatest miracles. Once you understand the facts of this truth, your faith will dramatically increase. 1. Why the Wise Men knew the time for Messiah was close. 2. Why Israel missed Messiah. 3. How this applies to us today. 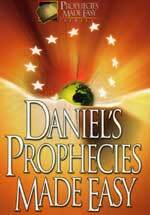 This prophecy stipulated that Messiah would be presented to Israel and would be killed after 69 weeks of years had elapsed from its starting point. When we multiply 69 times 7, we understand that the time involved here equals 483 Jewish years. Since the Jewish calendar contains 360 days, we can easily see that this prophecy is precisely 173,880 days long. Therefore, we can expect that exactly 173,880 days after the prophecy started, Messiah would present Himself to Israel as their long-awaited Messiah-King. In this verse , God said the prophecy would begin "from the going forth (the issuing) of the commandment to restore and rebuild Jerusalem..." At the time God gave Daniel this prophecy, Israel was a slave nation under Babylon; however, God had foretold that this slavery would last only 70 years. This 70-year period was rapidly coming to a close; indeed, non-Jewish history records that the Medo-Persian emperor Artaxerxes issued just such a decree on March 14, 445 B.C. Therefore, precisely 173,880 days from this day should bring us to some significant event in Jesus' life which presented Him to the nation Israel as their Messiah. Therefore, there are exactly 69 Weeks of Years (173,880 days) between the decree of King Artaxerxes in 445 B.C to rebuild Jerusalem to Palm Sunday, April 6, 32 A.D.!! God foretold to the day when Messiah would present Himself to Israel as their Messiah-King. We see this event recorded in Matthew 21:1-11. But, immediately after Jesus' triumphal ride into Jerusalem on the donkey, when He was proclaimed the Messiah-King of Israel by the excited throng, Jesus is seen lamenting over Jerusalem and her inhabitants. Let us review this account in Luke 19. On this day, Jesus fulfilled Daniel 9:24-26a to the letter, as He was proclaimed the King of Israel, on day 173,880 after the Medo-Persian emperor Artaxerxes had issued his decree that Jerusalem should be restored and rebuilt. What a wondrous day for Israel and for all the Jews who had been waiting for centuries for their promised Messiah! All of Israel and all of Israel's leaders should have been expecting Jesus to be proclaimed as Israel's King on that very day. Official Israel should have turned out in force to greet their Messiah and they should have told the people months in advance that this mathematics of this prophecy was about to be fulfilled. Virtually all Israel should have been lining the road on which Jesus was riding, proclaiming that Jesus the Christ was the Messiah. Not only had Jesus fulfilled every single Messianic prophecy relating to His first advent, He was now going to be declared King on the exact day on which this incredible mathematical formula was scheduled to end. At the end of the procession, Jesus should have been met by Israel's religious leaders, who would officially proclaim that He was the prophesied Messiah. However, as we all know, none of this happened. In spite of this incredibly precise Messianic prophecy, Jews missed this prophecy fulfillment, while Israel's leaders were in the advanced stage of planning Jesus' murder on the cross, an event just five days away. Why did Israel's spiritual leaders miss this incredibly precise prophecy? The answer is really quite simple. 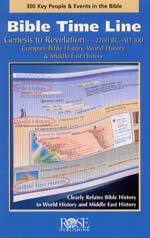 Several hundred years before Christ was born, Jewish leaders began to believe and prop-agate two erroneous teachings. First, they taught that the sacred Scriptures could not be taken literally because they were not totally inspired by God, and thus contained errors. Secondly, they taught that prophecies were not to be taken literally, but spiritually. 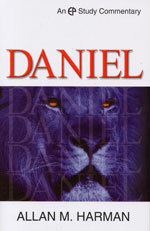 Prophetic books such as Daniel were not even taught anymore because they contained so much prophecy. After several generations had come and gone, each believing this nonsense, spiritual leaders of Jesus' day were completely unaware of this prophecy. Thus, they were unaware of the "time of their visitation". Listen to Jesus' rebuke and proclamation of the judgment which would destroy Israel in 70 A.D. and disperse her population for the next 1,900 years. It is impossible to comprehend more serious words than this: you, oh Israel, are cursed because you "knewest not the time of thy visitation". The significance of this study to today is both simple and obvious. The same wrong teaching concerning inspiration of the Bible and its inerrancy is occurring throughout this nation. Most people today are unaware that all 300+ prophecies concerning Jesus' Second Coming are coming to pass or have already occurred. These people are unaware that this has never occurred before. Too many pastors are so interested in increasing their pew-sitters so they can build a new church that they do not want to address the issue of prophecy being fulfilled in the daily news. Therefore, many people will miss Jesus' Second Visitation, to their eternal peril.